HDPE Tirpal Manufacturer in Delhi, HDPE Tirpal Supplier in Delhi, HDPE Tirpal in Delhi. HDPE Tirpal in Delhi,HDPE Tirpal Manufacturer in Delhi,HDPE Tirpal Supplier in Delhi. Our clients can avail from us a qualitative range of HDPE Tarpaulin. These are manufactured using genuine High-Density Polyethylene and in compliance with the prevailing industry standards. Our range is of superior quality and comprises high-grade UV stabilizers that help ensure durability as well as prevent discoloring. 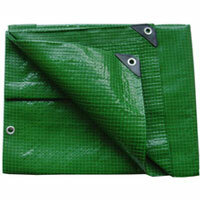 We also offer these HDPE Tarpaulins in customized specifications as per the clients' requirements.